Being slim and trim is the dream of every person at present because the personality speaks everything. Millions of products and exercises are famous for this reason and carb blockers are also considered on the priorities basis by some experts. 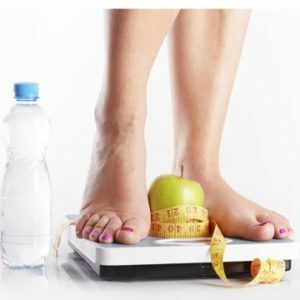 In simple words, we can define Carb Blockers just a type of diet supplement which people prefer to use when they want to put off some extra pounds of their body. There are many types of other pills available in the market, these pills are also famous for their fast results. However, most people hesitate to use them because of side-effects. On the other hand, carb blockers have more advantageous because of their natural way of working. They work in a harmonious way and drop the consumption of unwanted calories. This means that you don’t have to compromise with the diet. The only difference it will make that the unwanted carbohydrate digestion will stop. One doubt still exists and everyone wants to be fully sure about the proper functioning of Carbs blocker and its benefits. In case you are ready to use Carb blockers, you must know all the in-depth information about this like consequence and effectiveness on health. Our body produces different types of starch in order to provide sufficient amount of calories to it. The major function carb blockers perform is blocking the enzymes which are essential in the process of certain carbs digestion. There are lots of types which are famous in the market for different utilities to reduce extra body weight. As far as the ingredient is concerned, alpha-amylase inhibitors are frequently used which is a group of compounds. There are certain types of food which naturally contain this substance. In order to extort these composite beans are preferred and these compounds are known as Phaseolus Vulgaris Extract which is its scientific name. In normal language, it can also be called as white kidney bean extract. All the substance is quite natural and this makes is more popular among people who are willing to reduce their weight. You must also know that there are some prescription medications through which it can also be obtained but here we are not discussing that at all. Now you already know the fact that we are here talking about Digestible carbs which give us extra calories. In order to know the proper functions, you can divide them further into two categories. In the first category you can keep the simple type of carbs and in the second’s categories complex carbs can be discussed. These types of Carbs are natural and in order to gain them we have to consume natural things like fruits and different types of product which we get from processing milk. In addition, these can also be obtained from various types of food products which are meant by processing the natural food like desserts and flavored yogurts. Complex Carbs are different from simple carbs in the matter of their resource as well. In order to get complex Carbs, you will have to choose the completely different type of food like pasta, bread, rice and vegetables which are full of starch like potatoes. However, you can clearly observe that somehow complex carbs are connected with simple carbs. Here enzymes play a vital role in the absorption process for complex carbs. In order to stop the process of consumption, the link of complex carbs with simple carbs must to broken. Carb blockers slow down some of the important enzymes which are engaged in the process of simplification of complex Carbs. Due to a special type of substances blockers have this special ability. As the consequence of the above mentioned, the complex type of carbohydrates could not convert themselves into simple carbohydrate which is consumable by our body. The large intestine stays stable in their case without any consumption and these unwanted carbs failed to produce any amount of calories or boost the level of blood sugar. Without calories product, this material just filled the appetite for a while without giving unwanted calories which later on result in a loss in weight. So, in short, you can understand that carb blockers slow down enzymes and this help the body to eliminate unwanted complex carbohydrates. There are lots of brands which are making propaganda that after using these pills there will be a drastic change in the weight of the body. In addition, they also say that you can consume carbs without any hesitation according to your appetite. These pills will work like wonder and you will be losing weight in any case. However, there are many research programs have been conducted and revealed the fact that result can differ in some cases. Just eating these pills do not give full assurance about losing some extra pounds of your body. It is more important to know here that carb blocker does not prevent every type of crab from digestion. The blockage is done only to a small portion of carb from being digested. There have been many study program conducted in order to measure. On an average, they have found that more than half of carb digesting enzymes are blocked. There can be some situations in which even after the digestion of enzymes some carbs can be left unblocked. There have been many studies conducted and reveal the fact that even after the blockage of more than ninety percent of such enzymes less than ten percent of the carbs were prohibited from being engrossed. These results can be surprisingly different in other cases which are not generally expected by the manufacturers and users as well. In other words, we can say that there can be several reasons behind not stopping some carbs from absorption. The first one can be expected not have the direct control on the carbs. The carbs blockers start working on the digestive enzymes not on carbs directly. In simple words, we can say they are doing nothing more than just increasing the overall time of consumption which our body takes in the progression of calories manufacturing for the body. The next factor which we can take into our consideration is characteristics of complex carbs. It is necessary to know here that most of the carbs only play a trivial role in the overall diet of the majority of people. It is not going to make a huge difference in the overall production of the calories because carbs blockers stop most such types of carbs only. The next thing is also attached with the type of food people consume. In case the user is habitual of eating processed food there are very fewer chances that it will be working on his body. Now you must be wondering that what the reason behind it is. There is nothing secret but it is general fact everybody knows but still ignores. The problem is in added sugars which are frequently used in bigger quantity in while making the processed food. You will be surprised to know that these types of sugars can be categories as simple carbs. These types of simple carbs cannot be stopped by carbs blockers. You can understand this better with the example of sucrose, glucose or fructose, any type of carb blocker does not have any impact on them. Most of the carbs blockers are meant to work only one some specific types of carbohydrates. The overall reason may vary person to person according to eating habits. This is directly related to what kind of carbohydrates you are consuming through food. There have been many study programs conducted so far in order to know about the real effects of carbs blockers on humans. The main motive of these programs was to know about the real effect of carbs blockers on the overall weight loss process. The study was surprisingly alarming which was conducted on many people for weeks. The people were divided into two groups. The first one was controlled and the second one was left on its own. In the end, it was found that controlled group lost almost same weight. Their eating habits are not such much different and generally both the groups prefer to take the same types of carbs in their diet. This study is very important because it must be remembered that complex carbs in the diet are a very important factor. The working of carbs blockers and success is directly related to the type of carbs which are taking in your regular diet. On the other hand, simultaneously one more study program what conduct the check any type of difference between the carbs blockers users and nonusers. The study creates a conflict by concluding the fact that there was a huge variation in the matter of weight loss. In simple words, the study resulted that people who are regularly using some type of supplements have more tendency to lose their weight. It is very important here to notice the fact that most of these studies were not conducted properly. In order to make any type of strong perception, the study program must be error proof. Unfortunately mostly supplement manufacturing companies sponsored these study programs, so there is quite possibly of controlled results. In order to know the real facts and figures, there must be full transparency in such type of study programs. The study must include the opinion of health experts and professionals. The high-quality study programs are only reliable to make any strong perception. Natural Hormones are very important for almost every important function of our body. It is better to know that most of the carb blockers have a direct impact on the hormones which are specifically produced by our body in order to accomplish the function of hunger and fullness. The carbs blockers play a very critical role and slow down the process which makes the stomach empty after feeding. The reason is hidden in the substance which is used in the manufacturing of the carb blocker. As it is also mentioned earlier in the above paragraphs, carbs blockers are made with bean extract. In this extract, some compounds are found. Due to that level of hormones increases in many folds which make us feel fullness. The compound Phytohaemagglutinin is obtained from bean extract and there are many search programs conducted to see the effect of this substance. As per study which was conducted on rats in order to know more about this, this particular substance is the main ingredient of carb blockers which reduce the feeling of hunger and help the user the diminish the amount of intake food. In this particular study rats which were under the influence of this particular substance eat almost twenty-five to ninety percent less than usual diet. Nevertheless, this particular activity continues only for the few days. Even after the eighth day, the rats start to eat the previous amount of food and the results of carbs blockers were negligible. The serious point that study reveals is, once they left the consumption of carb blockers they were eating almost fifty percent more in order to reimburse their weight. There have been many studies conducted to know the real effects of carbs blockers in humans. But it is notable that very few and limited studies are done till date. In order to expose the truth and break all the myth, more study programs must be conducted. Overall, it can clearly be said there is nothing to lose the hope about the carb blockers because they are still doing a wonderful job. It is noteworthy to mention here that carb blocker has the abilities to reduce the appetite and desire. But to establish a scientific perception about them, there is more search is required.